Noon – 9 p.m, The Armenian Food Festival features traditional foods, music, handicrafts, and more, Scoorp Khatch Armenian Apostolic Church, 4906 Flint Drive, Bethesda. 1 p.m. & 2 p.m., Interact Story Theatre presents The Legend of Pufferfish Pat for children and their families at Montgomery College Cultural Arts Center, Silver Spring. 6 –8 p.m., Opening reception of the dis/figure art exhibit at the Kramer Gallery and Music Room, Silver Spring Civic Building. 6 – 8 p.m., Celebrate the start of Fall at Medowside Nature Center’s Apple Festival and Campfire. Must register, no walk-ins will be allowed. Rockville. 6 – 9 p.m., Next up in the Rio Summer Concert Series is the Route 66 band, Rio Washingtonian Center, Gaithersburg. 8 p.m., Rockville Little Theatre presents the comedy Almost Maine by John Cariani and directed by Kathryn Hegwood, F. Scott Fitzgerald Theatre, Rockville Civic Center Park. 8 p.m., Montgomery Playhouse production of The Canterville Ghost tells the story of an American family setting up residence in a haunted mansion in rural England, Gaithersburg Arts Barn. 8 p.m., Grammy-nominated experimental rock band Mutemath performs at The Fillmore Silver Spring. 8 p.m., Olney Theatre and Round House Theatre co-production of Lin-Manuel Miranda’s In the Heights was extended to Oct. 22. Olney Theatre Center mainstage, Olney. 9 a.m. – 12:30 p.m., AKA Theta Omega Omega Chapter’s annual 5K walk/run and health fair takes place at Mid County Community Recreation Center, Silver Spring. 10 a.m. – noon, Students may earn SSL hours at Montgomery Parks’ Weed Warrior Workday at Norwood Local Park, 4700 Norwood Drive, Bethesda. 11 a.m. – noon, Learn how to meditate at this free beginning meditation class at the Meditation Museum, Silver Spring. 11 a.m. – 2 p.m., LA Collection hosts a dog adoption event and fundraiser to benefit City Dogs Rescue. LA Collection, 7020 Wisconsin Ave, Bethesda. 11 a.m. – 2 p.m., BlackRock hosts a Community Art Day with artists demonstrations, hands-on art making activities, and interactive tours of their current exhibitions, BlackRock Center for the Arts, Germantown. 11 a.m. & 2 p.m., Adventure Theatre presents How I Became A Pirate, Glen Echo Park. 11 a.m. – 10 p.m., Armenian Food Festival features traditional foods, music, handicrafts, children’s activities, and more, Scoorp Khatch Armenian Apostolic Church, 4906 Flint Drive, Bethesda. 11:30 a.m. & 12:30 p.m., Interact Story Theatre presents The Legend of Pufferfish Pat for children and their families at Montgomery College Cultural Arts Center, Silver Spring. 1 – 5 p.m., Celebrate National Hunting and Fishing Day at the Iazzk Walton League Rockville Chapter open house with archery, kayaking and canoeing, BB-rifle shooting range, fly fishing and casting, conservation and wildlife exhibits, crafts, and more. 18301 Waring Station Road, Germantown. 1 p.m., A walking tour of the National Park Seminary includes the buildings, statues, and landscape features. Tour begins across from 2755 Cassedy Street in front of the gym. 6 – 9 p.m., Rio Summer Concert Series presents Back Pages band at Rio Washingtonian Center, Gaithersburg. 6:30 – 8:30 p.m., The 90s Rock band, Priceless Advice perform at Nando’s Spicy Saturday Night Concerts at the Fountain Plaza Stage, Veterans Plaza, Silver Spring. 3 – 9 p.m., Enjoy an evening polo match at the Summerhill Polo exhibition match. Elgin and Jerusalem Road, Poolesville. 7 – 9 p.m., The Washington Spirit take on the Boston Breakers at the Maureen Hendricks Field. Maryland Soccerplex, Boyds. 2 p.m. & 8 p.m., Olney Theatre and Round House Theatre co-production of Lin-Manuel Miranda’s In the Heights was extended to Oct. 22. Olney Theatre Center mainstage, Olney. 8 p.m., Montgomery Playhouse production of The Canterville Ghost tells the story of an American family setting up residence in a haunted mansion in rural England. Gaithersburg Arts Barn, Kentlands. 10 a.m. – 6 p.m., The first Wheaton Arts Parade & Festival features live music, original films on a big screen, art exhibits and sales, food and drink and children’s activities. Wheaton Veterans Park. 11 a.m. – 12:30 p.m., Screening of Story of an American Suburb as part of Art House Theater Day 2017. AFI Silver Theatre. Watch a short excerpt of the film, here. Noon – 4 p.m., The annual Kentlands Mansion Bridal Show includes caterers, photographers, event coordinators, videographers, musicians and more. Kentlands Mansion, Gaithersburg. Noon – 5 p.m., KID Museum and Montgomery County host KIDfest featuring free family activities and innovative projects. Veteran’s Plaza and the Silver Spring Civic Building. 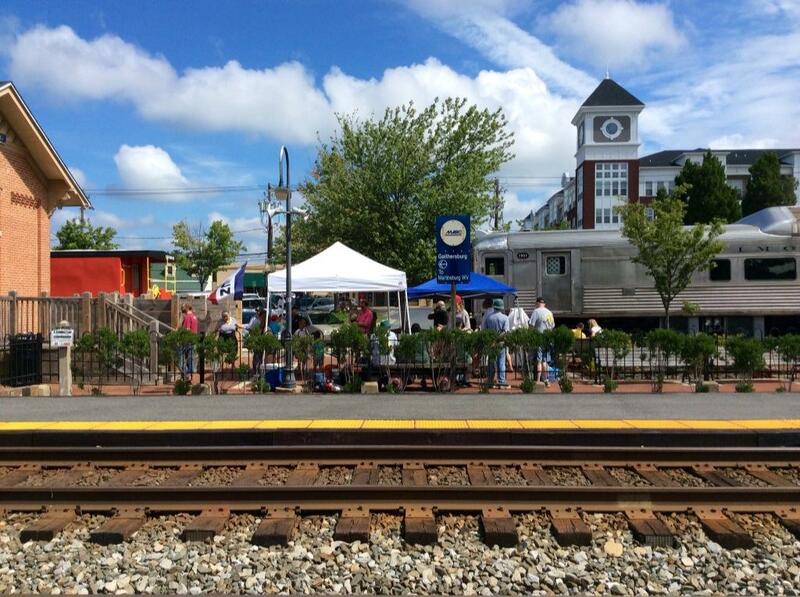 1 – 4 p.m., View model train displays, explore a caboose and RDC rail car, visit the 1918 steam locomotive on display, and participate n train-related activities during Train Day at the Gaithersburg Community Museum. 9 South Summit Ave., Gaithersburg. 2 p.m., Montgomery Playhouse production of The Canterville Ghost tells the story of an American family setting up residence in a haunted mansion in rural England. Gaithersburg Arts Barn, Gaithersburg. 2 – 4 p.m., Artist Carol Leadbetter to lead a discussion about her exhibition, ‘An Impending Silence: Vanishing African Wildlife’ at Waverly Street Gallery, 4600 East-West Highway, Bethesda. 3 p.m., The Washington Piano Society concert program includes Beethoven, Brahms, Chopin, Liszt and Spanish dances. Calvary Lutheran Church, 9545 Georgia Avenue, Silver Spring. 4 p.m., Screening of the independent film DEEJ which is about DJ Savarese who was abandoned at a young age and unable to speak for himself. BlackRock Center for the Arts. Germantown.